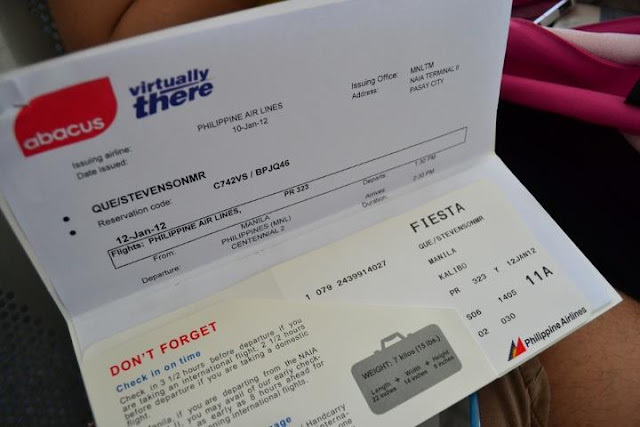 Finally, Something I have been dreaming of having on my Blog, A Boracay Post! 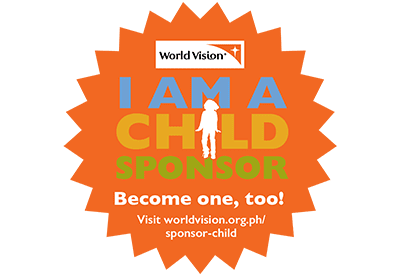 First of all,To KUYA JONJON and ATE ARDEL, if there is such a Thing as an UNLIMITED THANK-YOU, It goes from the bottom of my heart going to you! Whenever Anyone hears from me or other people about how I love to travel and go around the country, They would always ask me first, Boracay? It always been a simple yet involuntary response, a Frown! 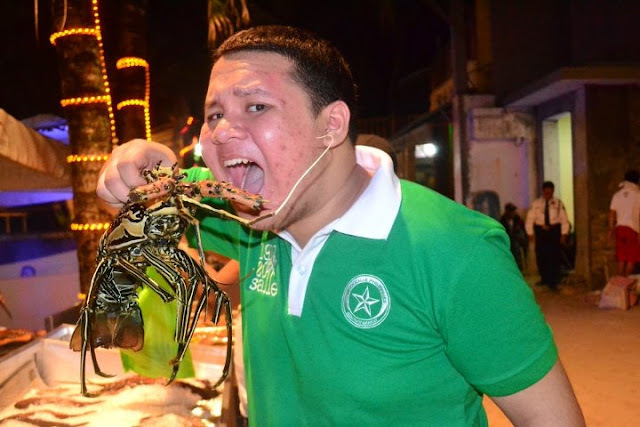 I have been to so many Islands and Provinces around the Philippines but I have never been to the most famous Island in the Philippines! 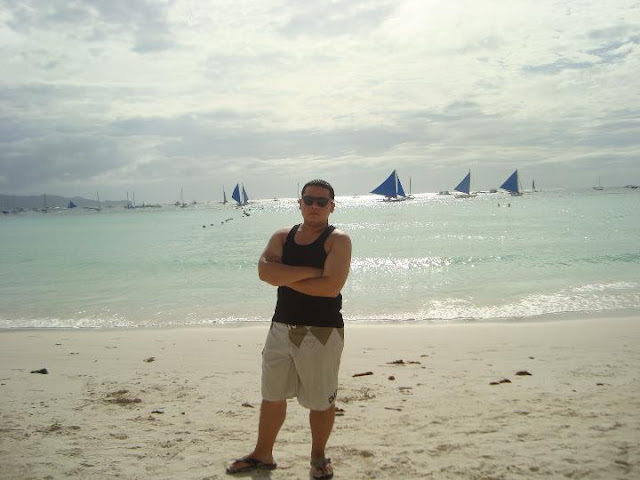 It has always been a reason of the fame and popularity of Boracay which is the reason why, maybe, I still haven't been there yet. But as the year Started, I had the greatest news in my Life! 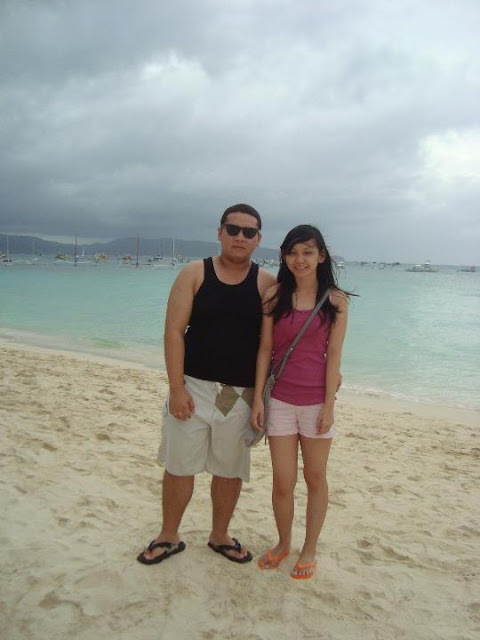 My cousin Kuya Jonjon and Ate Ardel wanted to go to the Island as treat for her sister Abbey for her short Vacation here in the Philippines from California! And Kuya Jon and Ate Ardel are just so so nice to invite me to join! I was almost in tears when they asked me about it because they are just so so so nice to bring me to Boracay, somewhere I have never been to and I have always wanted to go to! 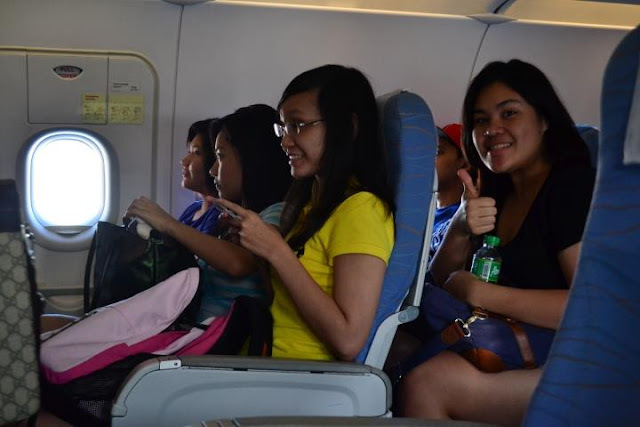 We arrived at Kalibo International Airport at the province of Aklan. Our flight was delayed for quite a while but of course, even if flights are delayed for an hour or two, it will always be worth it for as long as you arrive to your destination safe and sound! 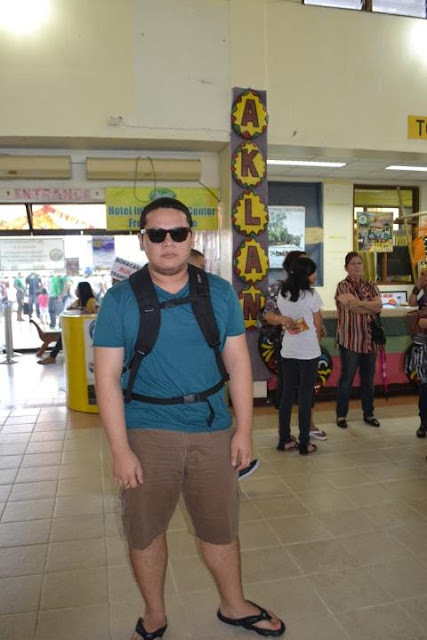 Me at Kalibo International Airport, the Main Airport of the Province of Aklan. After our Bags have been claimed, we bounded a Van on the way to the Port of Caticlan, the Gateway to the Magnificent Island of Boracay! The ride will last for about an hour but since our stay at Boracay, January 12-14, also marks the beginning of the Ati-Atihan Season, a well known Festival held all throughout Aklan, the ride lasted for about 2 hours due to heavy traffic in the Metro Area. Also the ride is a little whirly due to sharp curves so if you are someone who gets dizzy during these roads, better to take something that will make you feel well! 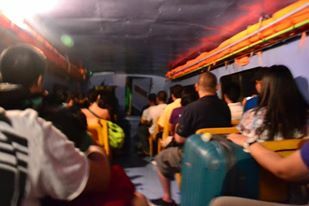 We arrived at Caticlan Port at late twilight and as we bounded our ferry boats that will take us straight to the Island, it was already dark. But even if the darkness envelopes the skies that night, it did not darkened our excitements! the ride lasted for about 20 minutes. As we arrive at the port, we rode a Van for about 15 minutes and it took us to Crown Regency Hotel where we shall be staying for Two nights while we are in this Tropical Paradise! It was only me and my Ate Judy in our room and it was Grand! GRAND I must say! 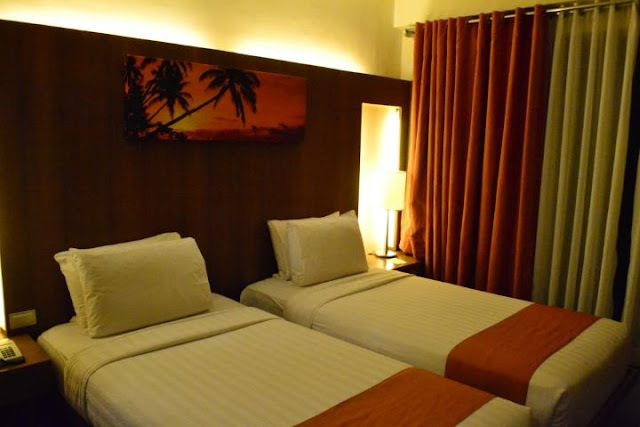 The rooms are spacious and the Air-conditioning is very well! 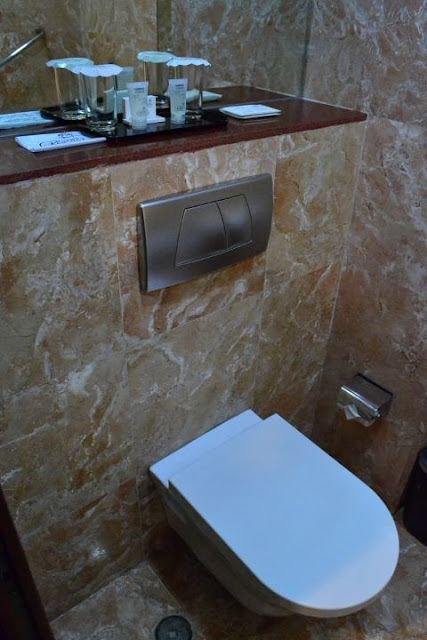 But of course, my most favorite part of the Hotel rooms that I usually check first besides the beds, the BATHROOM! I Love the Bathroom! With this Giant Flush and Pink Marble Walls and Floors that reminded me of my own Bathroom at home but this time it was cleaner and shinier! 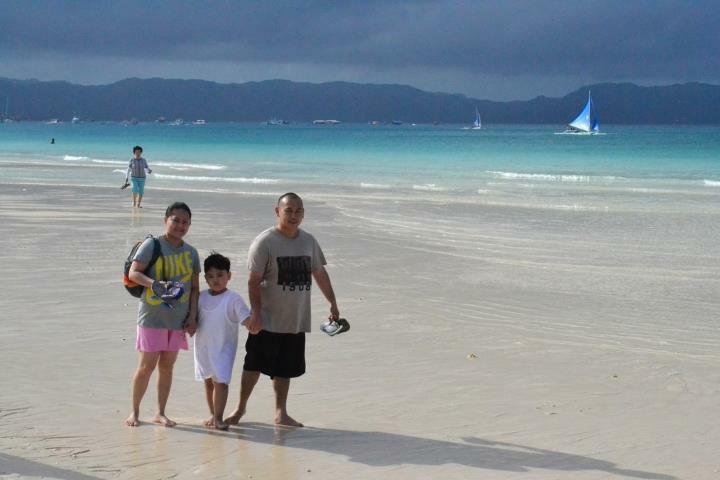 Boracay is boasting of its Fine White sand! And at the first time I set foot and saw the sand, It was like I'm in a movie! I grabbed some sand and felt in in my palm and my face was so funny I was so amazed! No wonder why this place is World Famous and Flocks and Flocks of Tourists from Russia, USA, Europe, Australia, Korea and almost all the world fell in love with it! 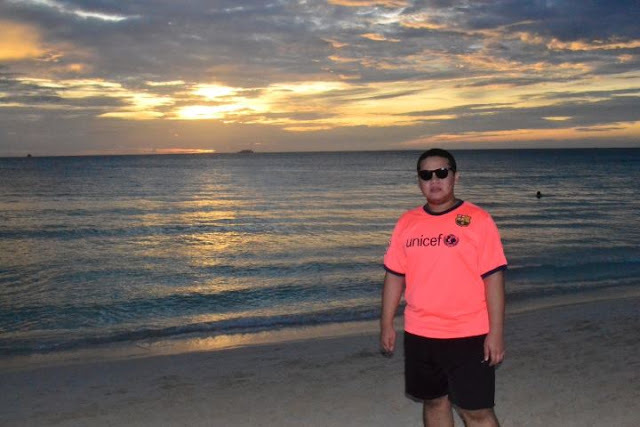 I have been to Bantayan Island in Cebu, Pagudpud in Ilocos, Puerto Princesa in Palawan, Guimaras Island, Bohol, but I can really say that it has been the best beach I have ever been to! The Water is Crystal Clear and the food is just AMAZING! My Boracay Story can never ever be fitted into one single post to describe how BEAUTIFUL this Island is and how WONDERFUL this trip is! But here are some more of the Memorable pictures that I shall include in this first rant! There at Boracay was the very first time I've had Lobsters! My very very cute Nephew Gabriel and Doggy! We got so much closer because of this trip :) Love You Gabe Gabe! 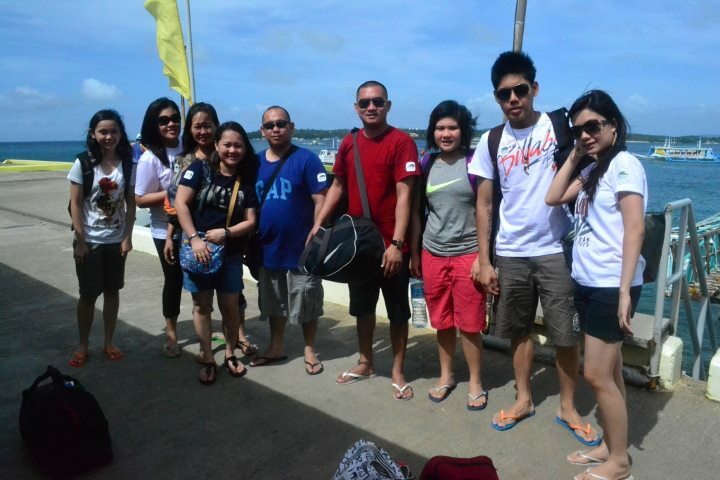 Ate Ardel, Gabe and Kuya Jonjon, The WONDERFUL People that made it posible for me to be there! And of course as always, one of the best things about any travel are the people that are with you on your trip! The moments you shared together, the laughs, the stories, it will never ever be bought at any amount whatsoever! Thank you all so much for letting me share this trip with you all! I will forever be grateful and truly will remember all those times at the sands of Paradise!